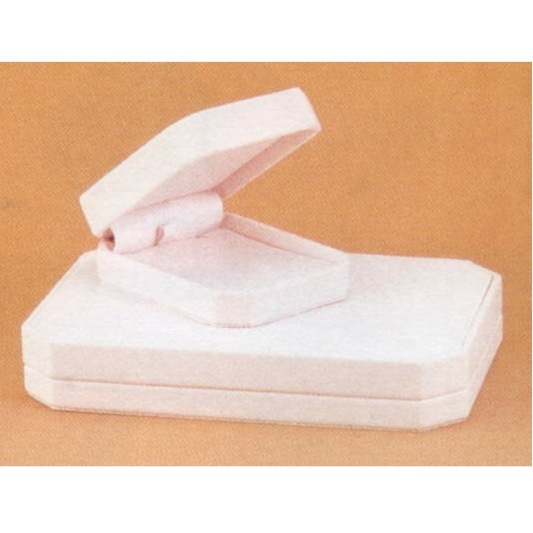 White leather cut-corner ring box. Complete with 2-piece white cardboard packer. 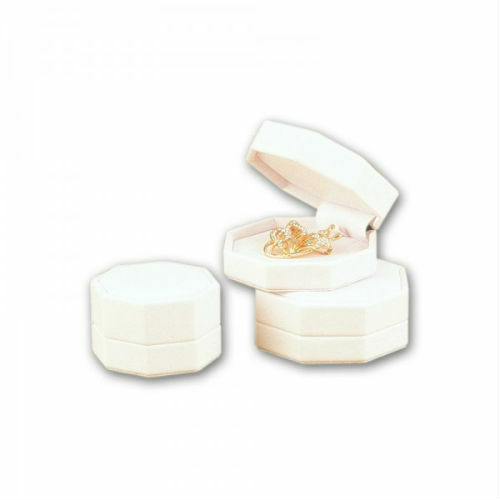 Choose single piece or dozen pack. 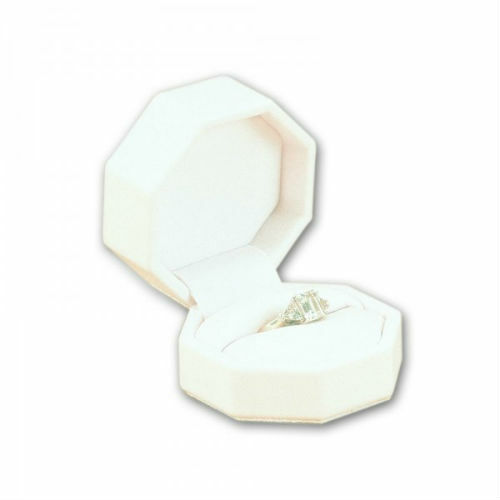 White leatherette cut-corner double ring box. Complete with 2-piece white cardboard packer. Choose single piece or dozen pack. 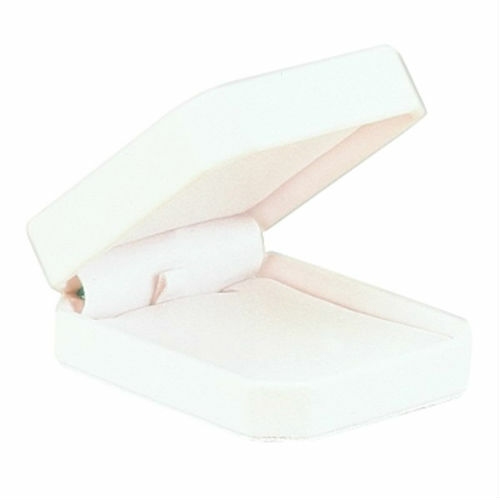 White leather cut-corner earring box. Complete with 2-piece white cardboard packer. Choose single piece or dozen pack. 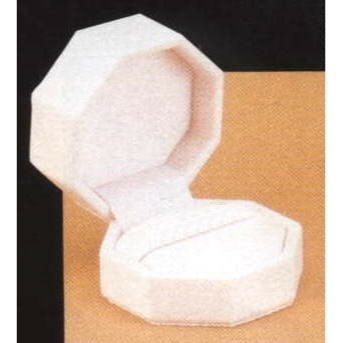 White leather cut-corner, octagonal small pendant box. Complete with 2-piece white cardboard packer. Choose single piece or dozen pack. 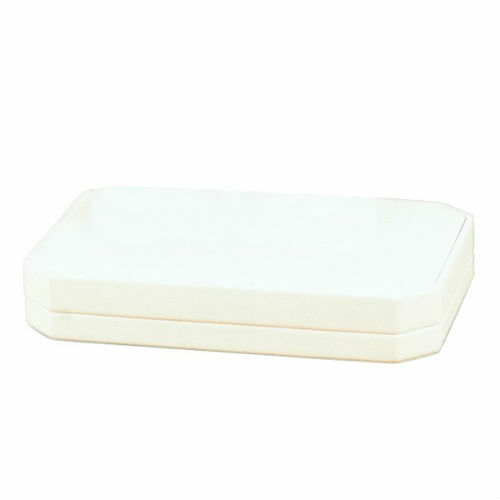 White leather cut-corner, rectangular, long pendant box. Complete with 2-piece white cardboard packer. Choose single piece or dozen pack. 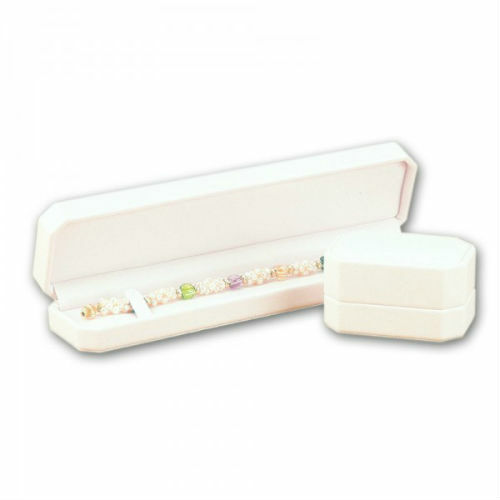 White leather cut-corner bracelet box. Complete with 2-piece white cardboard packer. Choose single piece or dozen pack. 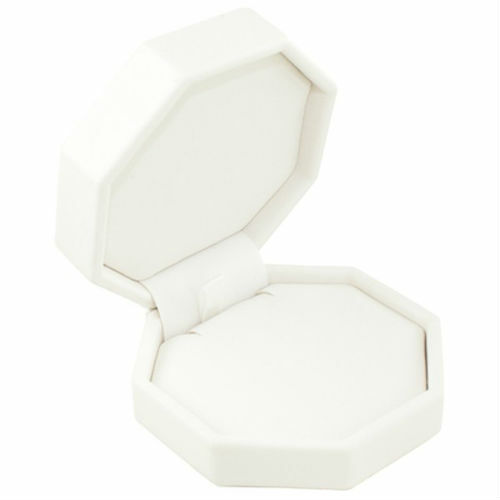 White leather cut-corner necklace box. Complete with 2-piece white cardboard packer. Choose single piece or dozen pack.